So you’re a little bit worried about the space of your patio because you don’t know how to make use of it. You’re even thinking of some useful ideas by asking your friends or looking online. Sure, all of these things gave you great ideas but one idea that you know you can do is transforming it into a garden patio. 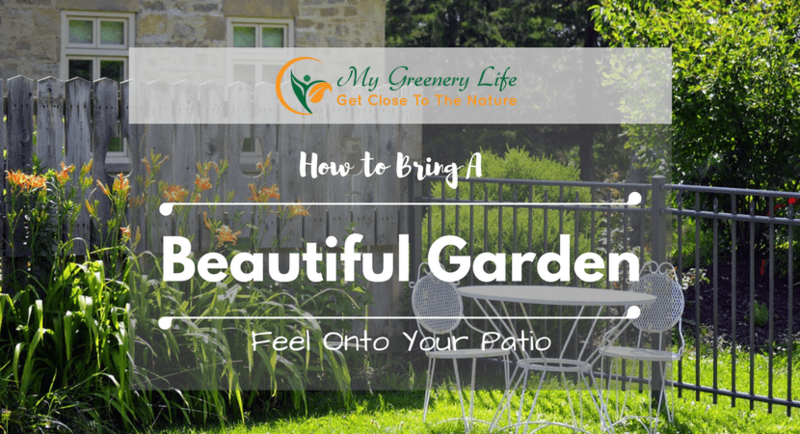 This sounds very interesting for you and you think that a garden in your patio is like hitting two birds with one stone - you’ll be making use of available space and you’ll be creating something which is pleasing to the eyes. 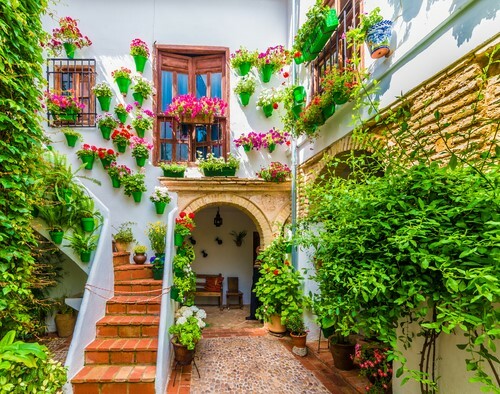 Do you want a traditional type of patio filled with plants? 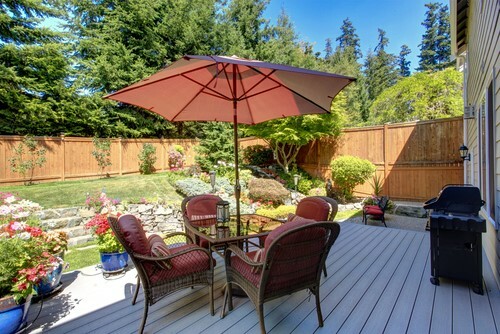 Then, go for a wooden theme garden patio. Place wooden benches to create a soothing mood around your place. You never have to worry about making your outdoor space a garden patio. With pots full of the tiniest flower-bearing plants to tall and bushy trees, you can surely maximize your patio space to give you that garden feel! You just have to arrange your plants in a way that may complement the color and style your home. Your patio doesn’t have to be a summer dining area all year-round. You can also convert it into something enjoyable like a planting zone as area can give you that positive vibe once you get to plant your favorite seedlings there. All you have to do is set up your plant potting area with all the necessary gardening tools. Pick what you want to plant and voila! You’ll be having something to look forward to do everyday. Do you want your patio to be helpful especially with your dishes? If you have that goal in mind, you can turn your patio into a mini vegetable garden. And you can still do this even if your patio is small. You just have to plant out your vegetables in a trug, and you’re good to go. There’s nothing wrong if you want to bring a garden feel to your patio. When you have limited space, why not use a fence to trail plants? After all, you’re putting a garden furniture to add color, right? So, it’s better if you complement these fences with climbing plants and trellises. Make use of a colorful garden furniture that brightens up the whole space. A brilliant paint color can make the patio exceptional. Get the best combination of paints for your furniture so that you will have a garden-themed ambiance. When you want something tropical, plant your patio with towering palms and other ferns. These plants help regulate the atmosphere by creating a cooling sensation throughout the place. It’s entirely good for summer days! A patio will always be beautiful when there are flowers around it. Flowers of different varieties can make your garden-themed patio look more colorful and vibrant. Flowers can also be helpful for you as they can protect your area from unwanted pests. You can also create flowers in hanging baskets. With it, there’s no need for space to plant them with. You just have to hang it around, and you will now have a garden vibe onto your patio. When you have unused drawers left in the house, don’t throw them away. You can have them as unique planters for your garden-themed patio. All you have to do is drill some holes at the bottom for the water drainage, and you can start planting. It’s the best for bringing a garden feel onto your little outdoor space. When planting plants seem so difficult to do on your patio, you still have nothing to worry about as you can still achieve that garden feel. You can have a variety of garden arts in your space. Your arts can be something about you or anything that you enjoy in doing. It can be a pile of plastic pots formed like a human and a flower on top. When you’re busy, and you don’t have time doing a garden makeover of your patio, choosing a feature plant can be ideal. Place it in a way that anyone going in can recognize it immediately. You can have it placed in a pot or container which is distinct from other plants. If you want your patio to be one with nature or garden-like, there are many ways to accomplish it. You just have to be creative so that you can maximize all your resources. You don’t have to spend a lot of money for your patio makeover. Don’t forget that it’s you and your family who will benefit if you’ll bring that beautiful garden feel onto your place – and what’s imperative here is that you’ll be able to convert a lifeless courtyard into a lively one, where you can get to meditate, unwind and rest. So, what are you waiting for? Take note of these ideas and begin your patio transformation right now! We hope you liked this article from Appliance Reviewer. Sara Worth is an expert reviewer and writer at Appliance Reviewer - a comprehensive and unbiased online guide, which helps readers to buy the right appliances for their home. She moved from Manchester to London where she studied electronics. At the same time, she was working as a freelance writer and also pursued her passion to be an independent interior designer. After graduating from university, she worked for over 10 years as an electronic engineer, consulting with some of the largest appliance manufacturers around the world. Sara has since joined the team at appliancereviewer.co.uk where she uses her vast knowledge of style and functionality to write about the best home appliances available on the UK market - Helping her readers to make an informed decision on their investment purchase without having to try each item first. When she isn't writing or fixing things around the house, Sara can be found enjoying live music with her friends, or relaxing in front of the fire with her dogs.